Did you know I have an author page on Facebook? I’m more a Twitter girl, but for some things, only Facebook will do. Here’s today’s link to my upcoming event with WhitWord, a brand new group for writers of Whitstable – and beyond! We’ll be talking about writing, sure, but mostly about what makes a real difference. Where to submit, who to talk to, how to get the help and support you need when you need it most. No book is an island and no writer needs to feel alone. 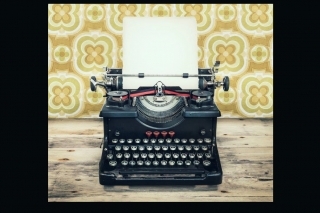 Why not make a late new year writing resolution and join a writing group? This new year finds me getting over a head cold and gearing up to work on last year’s books. (That’s so last year!) It would be nice to have everything brand new with a brand new year, but lives aren’t like towels. You can’t just buy new ones in the sale. Some books take a long time to get right, as this stack of old drafts attests. Last year was spent rewriting my second book – and some of this year will be spent the same. That’s my lot. 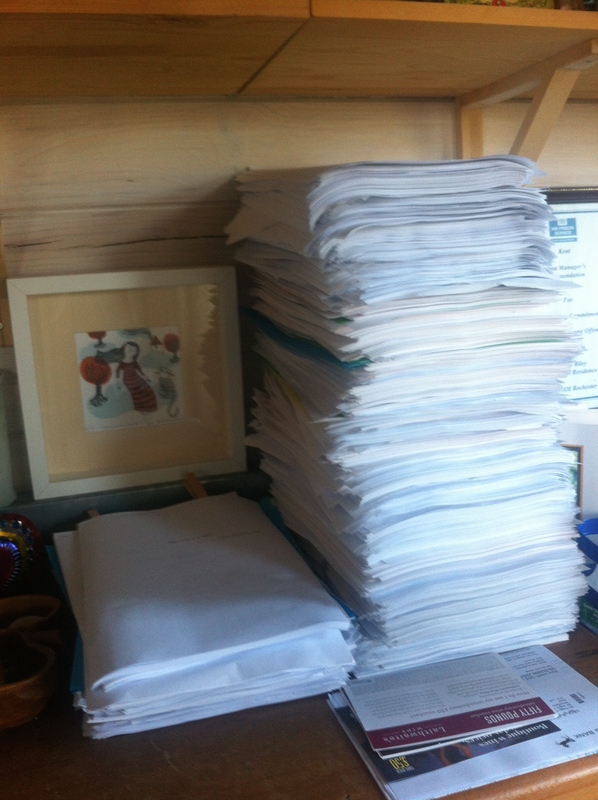 But last year, I also finished the first draft of a new book – so many I’ll get two right this year. Anything is possible. Really. I’m no resolution maker. I like my life the way it is and I don’t need a new calendar or fancy app to tell me to get my patoot out of the chair and lace the trainers on. Today, in particular, I need to tell myself to knuckle down, but I figure it’s part of the transitioning out of illness and crazy-making holidays and back to whatever normal is. That’s my excuse, anyway. It’s all I’ve got on a rainy January with my tepid cup of tea and to-do list. There is something about January that makes us want to start new things – even when we know the work is to finish what’s already before us. I’m going to be sitting in this chair and working on these pages until May, I reckon. But once we get to May, I do predict a few changes. And just like that, with a new deadline and the first marks made in a brand new calendar, the year begins to take shape. Every day, a cup of tea and a fresh idea can change the world – well, our world, anyway: our moods, our outlooks, our hopes, our dreams. And with that, I’d better switch that kettle on.